LOS ANGELES (Hypebot) – Top executives Eric Garland and Ethan Kaplan have exited Live Nation Labs, the concert and ticketing giant's digital innovation hub, according to multiple sources. Labs was created after Live Nation's December 2011 acquisition for a reported $30 million of the small but influential media measurement service BigChampagne, co-founded by Garland and Joe Fleischer. Fleischer remains part of Live Nation's restructured digital effort. Garland and Kaplan's contracts with Live Nation were apparently up for renewal, according to multiple sources. Which side chose to walk away is unclear. 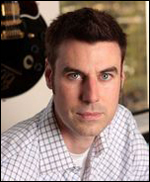 Kaplan, who joined after heading Warner Music Group's digital team, was one of Live Nation Labs first hires. The majority of the Labs staff has been reassigned to Live Nation's Ticketmaster division. Others are now working in the sponsorship division and elsewhere in the company, according to sources familiar with the restructuring. Live Nation refused a request for comment. At the time of the acquisition, Live Nation CEO Michael Rapino said, "This strengthens our commitment to be the leader in Artist-to-Fan data. BigChampagne's expertise will accelerate our mission to drive deeper fan engagement throughout Live Nation driven by world class data technology." A year later, Garland was still very optimistic. "Michael and Nathan [Hubbard] asked me start something internally disruptive at Live Nation," he told Hypebot. "We're throwing out a lot of assumptions about what constitutes a good product for live music fans and trying to approach problems from a fresh perspective." Now that "fresh perspective" will be explored by teams seeded throughout the sprawling company, particularly within Ticketmaster. Ironically, that's the division of Live Nation that has drawn the most consistent criticism from fans for onerous ticketing fees and a lack of transparency. We'll be watching how things develop, along with Garland and Kaplan's next moves.